Right in the south of the island of Sardinia, which belongs to Italy, you can discover the capital Cagliari by rental car. About 160,000 inhabitants live in the city on the gulf of the same name, which is perfectly overlooked by the old town called Castello. Cagliari is well connected to the road network of the island, has a university and a harbour from which many Italian cities can be reached by ferry. Among the most famous sights in the port city of Cagliari are the Cathedral, built in the 13th century in the old town, the Basilica of Nostra Signora di Bonaria and the Romano Theatre, built in the second century. With the price comparison at Driveboo you have the possibility to compare all offers of car rental companies at Cagliari airport. So you are guaranteed to find the best offer! At Elmas Airport, which was commissioned in 1937 and has the IATA code CAG, more than 33,000 aircraft movements take place every year, with 3.8 million passengers handled. The airport has a runway, and passengers arrive or depart from a three-storey terminal with a modern design. You can find your car rental company at Cagliari Airport in the arrivals hall, right after the baggage conveyor belts. More specifically, this is only a counter to which you should contact. The offices of the car rental companies are located outside the terminal on the ground floor of the multi-storey car park, friendly staff will show you the short way. Why book a Rental Car for Cagliari online? Renting a car directly at the Airport CAG or in the city is possible, but there are risks involved. Particularly cheap car rental offers may not be available and during the peak travel season there are often long waiting times. To be on the safe side, book your car cheaply through us and pick it up at the airport car rental service as you wish. Each rental car provider has its own pick-up station at Cagliari CAG airport, which is usually located on one floor of the car park. However, some car rental companies operate offices and pick-up points outside the airport. They are waiting for you in the terminal and drive you to the rental car delivery. "Full / full" is considered to be a fair tank regulation. In Italy and on the island, you will take over a rental car with a full tank of fuel and return it to us with a full tank of fuel. To comply with the regulations, the petrol station should not be too far away from the car rental. However, the car hire companies often offer different fueling arrangements. You should pay close attention to this when making your booking, even if you want to choose a different fueling regulation. Which gas stations can you find at Cagliari airport? Car rental is responsible for the prescribed safety vest in the rental car, but checking is always recommended. Very importantly, you also have to pay for the buses if the vest is only accessible when you leave the car, for example in the trunk. As a car driver of a rental car, you must first get used to the driving style in Italy. The Sardinians drive very emotionally, often use the horn and often ignore the traffic rules. Don't let it disturb you and stay calm and friendly. So you can enjoy your rental car holiday to the fullest and take unforgettable memories with you. 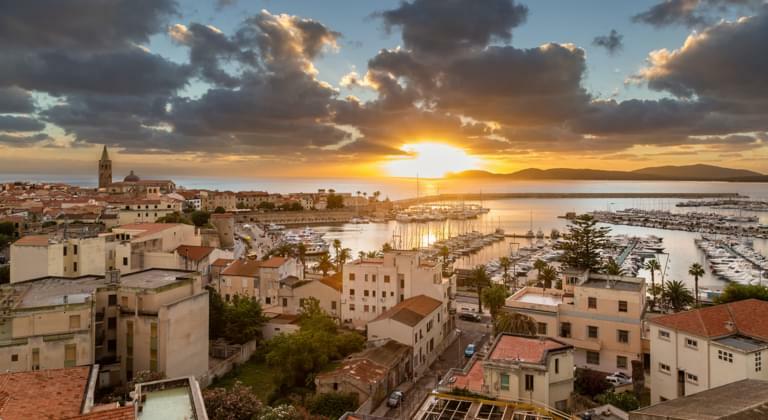 If you want to experience Sardinia, a roadtrip to Olbia or Alghero is also recommended.